Luis Moore charged with attempted murder after opening fire in front of Bronx apartment, shooting two kids, Patience Boyd & Jaelyn Rodriguez, over $400 unpaid loan to buy marijuana. 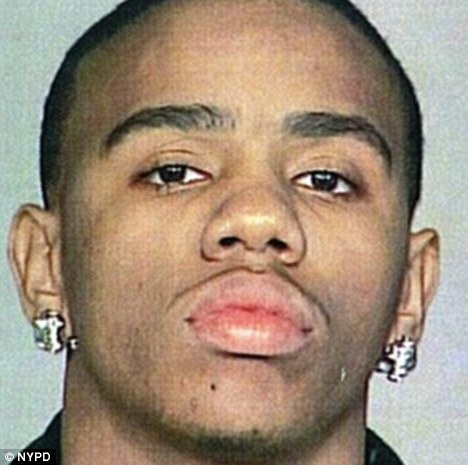 TRAVESTY: Luis Moore, 23, opened fire in front of a crowd at an apartment building in the Bronx, aimed at a rival, Rick Rodriguez, 20, over an unpaid $400 loan to purchase marijuana, injuring two small children — Patience Boyd, 2, in the head, and Jaelyn Rodrigez, 6, in her neck. Moore turned himself in to police and has been charged with attempted murder. What a POS. Next articleABC Viewers Sound Outcry Over Chaz Bono, Formerly Known as Chastity Bono, Being Contestant on "DWTS"